"Are you stoned or something?" Johnny Depp and Vampires?! It's like heaven wrapped in a pretty 2 hour Burton bow. 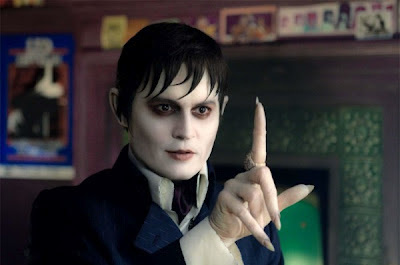 Warner Brothers has debuted their official trailer for Tim Burton's Dark Shadows, his fantastical new take on the gothic horror 60's TV series featuring the vampire Barnabas Collins, played by the ever so lovely Johnny Depp. I've been waiting a while to see this and wow, this looks great. It's dark, creepy, humorous, quirky and above all fun and entertaining. The cast includes Eva Green, Michelle Pfeiffer, the darling Chloe Moretz, Helena Bonham Carter, Jackie Earle Haley, Jonny Lee Miller and Bella Heathcote. Talk about a killer cast. Take a look! A gothic-horror tale centering on the life of 200 year old vampire Barnabas Collins and his run-ins with various monsters, witches, werewolves and ghosts as master of Collinwood Manor in Collinsport, Maine. 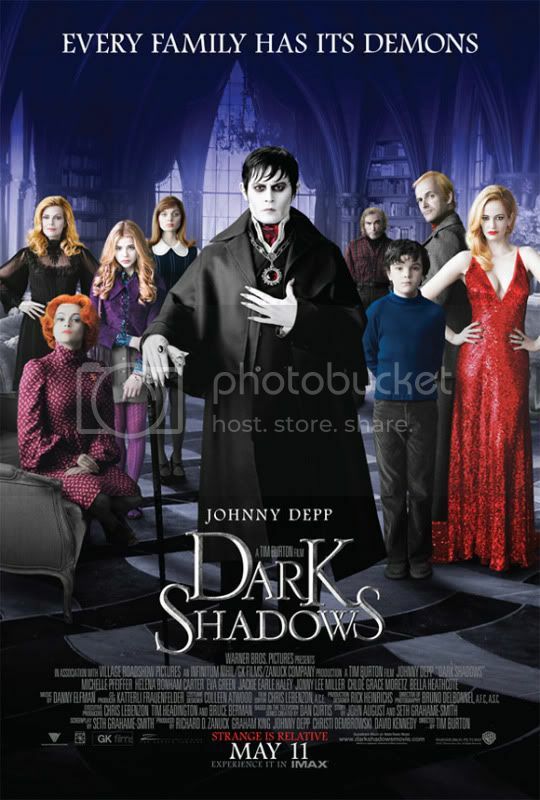 Dark Shadows is directed by imaginative filmmaker Tim Burton, (Beetlejuice, Batman, Edward Scissorhands, Ed Wood, Sleepy Hollow, Big Fish, Charlie and the Chocolate Factory, Sweeney Todd and Alice in Wonderland). He's directing from a script by author-turned-writer Seth Grahame-Smith (Abraham Lincoln: Vampire Hunter) based on the cult ABC TV series created by Dan Curtis. I can't wait to see this movie. It looks like it could be extremely fun. Expect to see this movie hit theaters on May 11, 2012. Indeed I think it might be worth looking at. Depp always plays odd rolls and thus he makes me lol on occasion. Did I mention Kristen is doing a fine job with this blog?